Washi Washi, I used Washi!!! 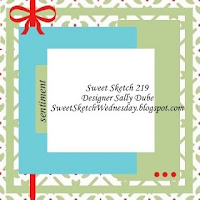 Sweet Sketch and it's Wednesday!!! Happy Hump day everyone, Summer is winding down and the kiddos are slowly going back to school around here. The private schools pretty much have already started and our charter high school started today and public schools start on Aug. 28th. Holy moly, that can be really confusing. I work for the public schools so I will be going back to work probably late next week to get things ready to go. Hence is why I have been playing with so many sketch challenges. Because I can stay up all hours of the night and not have to worry bout gettin up!! 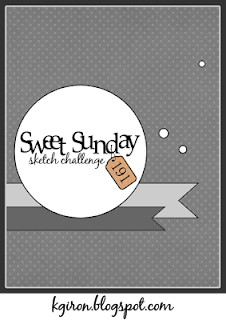 I'm taking advantage of this late night thing ☺ So, onto my challenge card. This one I created for Mojo Monday. I always love Mojo's sketches. This is a basic A2 size card. Enjoy my creation and I promise I will be back again real soon to share another creation! supplies used, Pistachio pudding,crisp cantaloupe,basic brown and very vanilla card stock. DP My Minds Eye, Mabel papers 6X6 pad. Swiss dot embossing folder. scallop circle lace nesties. Hello all, Well here I am with another sketch challenge. This one is from Mojo Monday and I had a choice of either a square card or a round one. So, below is what I came up with. The one thing that I really Really like about this creation and you can barely see it in the photo is I heat embossed the sentiment. I am lovin the heat embossing right now. I really really like the look of it. It always adds a little something to a finished product! So ladies and Gents, It is time for me to get to working on some more challenges. I wanna keep the mojo movin!! Below you will find the recipe for this creation. Have a great night and I will be back real soon to share another creation! Supplies used: Pretty in pink,White and Baja breeze card stock. DP is a 6 X 6 paper pad from Echo Park. Flowers are from Prima. 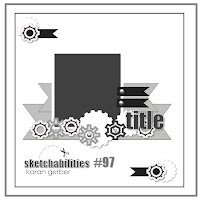 Antique brads and pink ribbon are both from Stampin Up! Sentiment stamp is from PSX and embossing powder if Suzy West "WOW" in whirly pop.